It had to wait a day after a weather delay, but Louisa County got a key Jefferson District win Saturday, beating Orange County 7-6 at home. 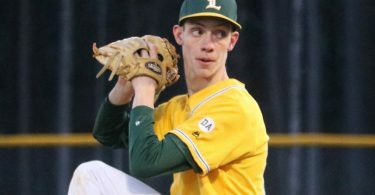 Louisa County’s Logan Fifer blasted a three-run home run in the bottom of the fifth that put the Lions ahead of Orange 7-6 and from there, the Lions held on, with Evan Cash inducing a key double play to escape a sixth-inning jam before Owen Agee retired the side in the seventh. Bryce Clarke went 3-for-4 for the Lions while knocking in a run and scoring another run. Fifer went 2-for-2 with the three-run shot and an RBI single in the bottom of the third. Garrett Duerson and J.B. Lamb each also knocked in runs and posted doubles. 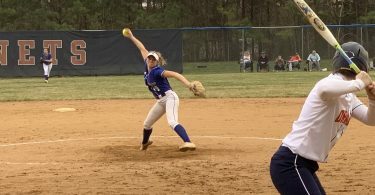 Five members of the Louisa pitching staff combined to strike out eight and allow five earned runs while surrendering eight walks and eight hits. Christian Koontz went 2-for-4 with two runs and an RBI for the Hornets while Tucker Hensley went 2-for-3 with two RBI including a pair of doubles. Canon Davies and Zach Redifer each also posted RBI. The Lions travel to take on Albemarle Tuesday night while Orange County travels to take on Charlottesville the same night.